I am absolutely thrilled at how this piece has come along. 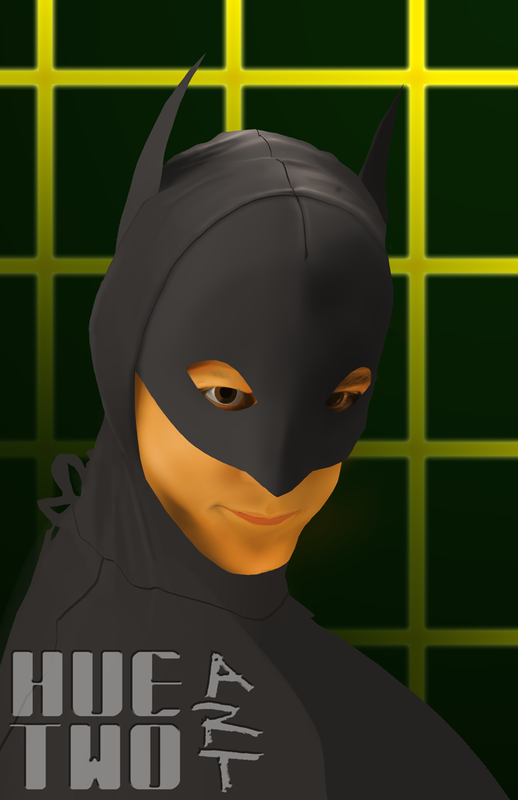 I have just a few tweaks to do before it's finalized. 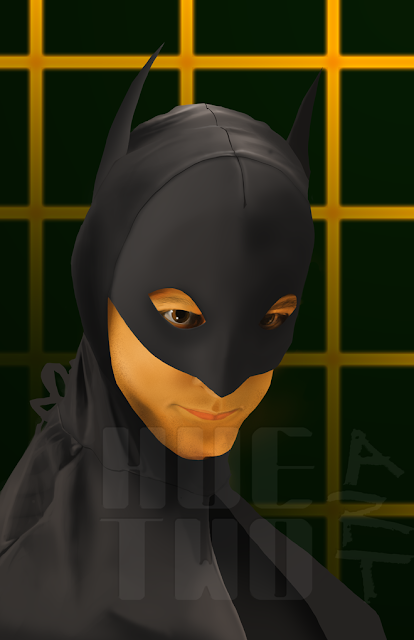 I think this will really turn heads at the art show. 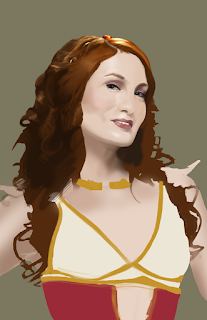 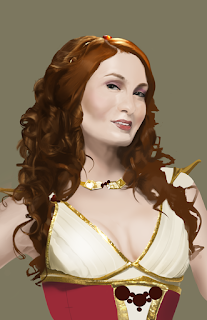 Next up will be a painting of Felicia day as Codex. 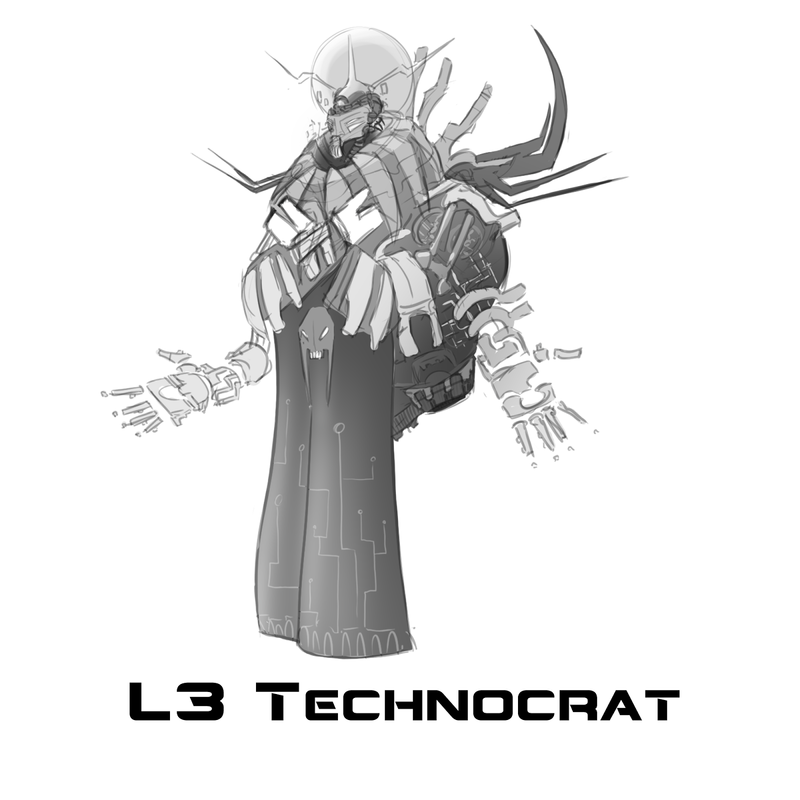 Today's work is on refining some elements of the Level 3 Technocrat and applying some changes asked from the management of the project. Very happy with how this is turning out. 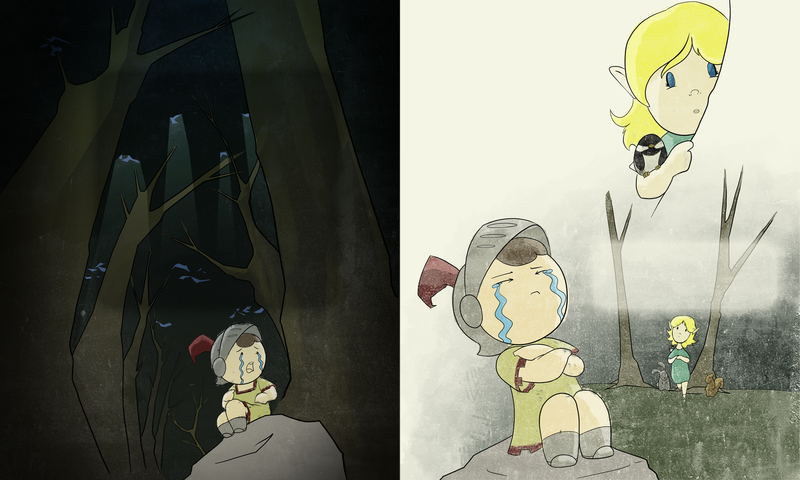 I'll be posting this to my tumblr and Deviant art site for certain to show as many as possible. 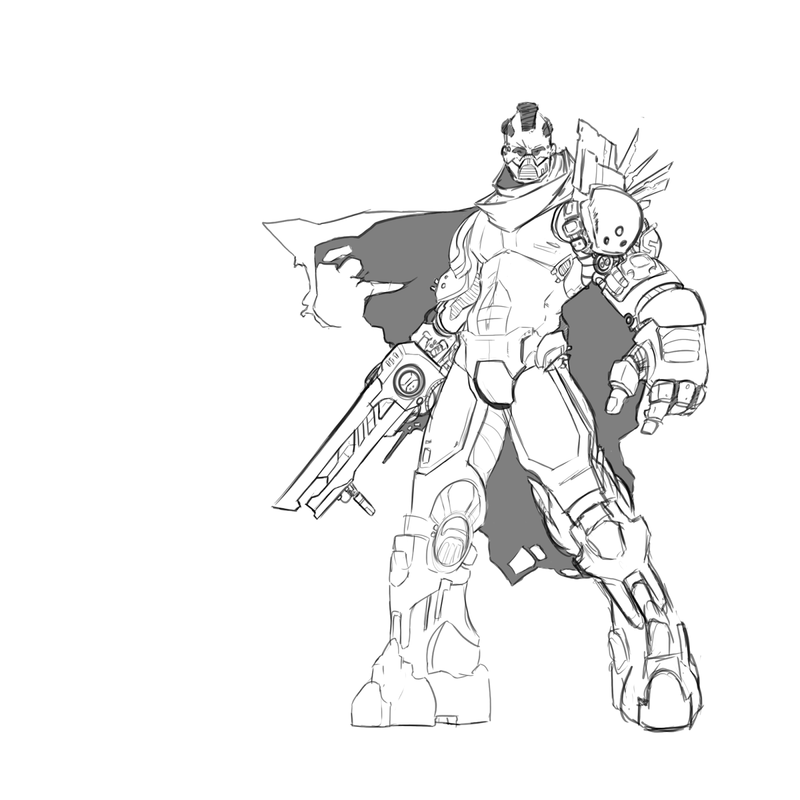 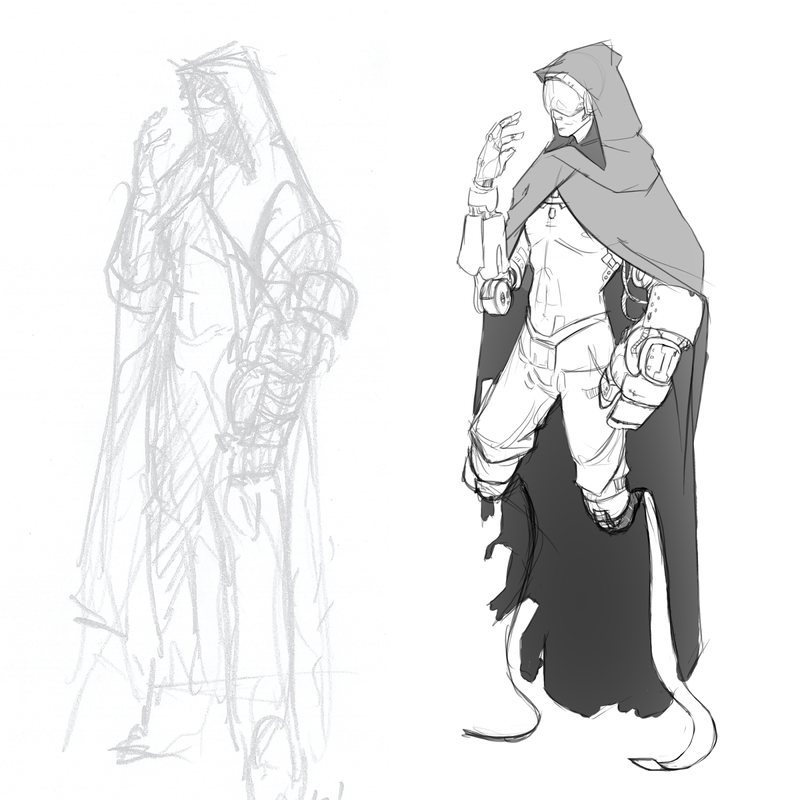 I really hope that this work pulls in eyes for the game as I really do feel it's going to be a valuable part in establishing myself as an artist. 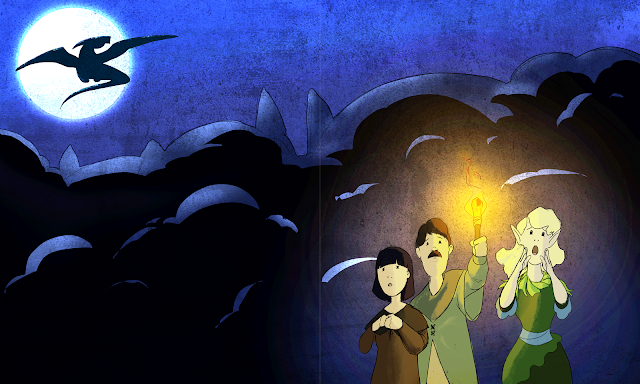 Things have almost come to an end on my first Illustrated Childrens book called 'The Littlest Knight'. 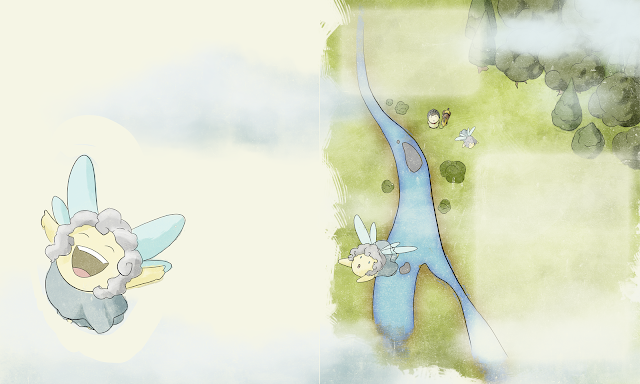 Written by Tanya Chang and illustrated by myself this adorable little tale of a child's dream to become a knight will be my first published work. 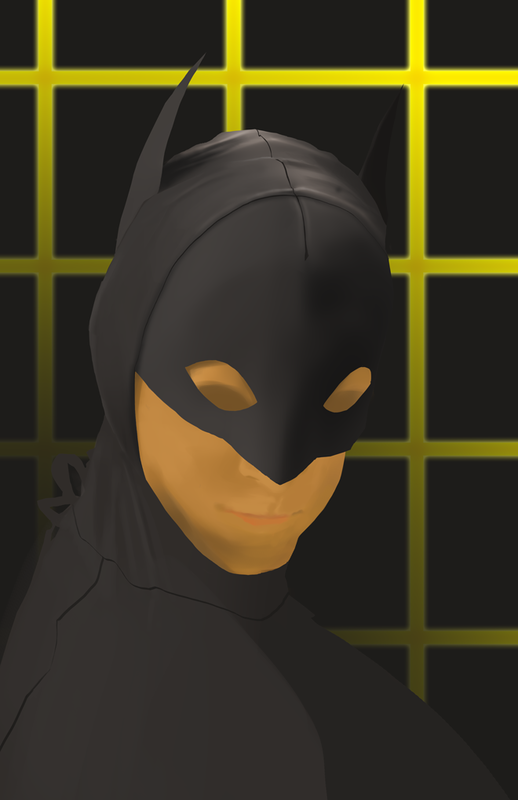 I am very excited to show the world the simpler side of my artwork and use this opportunity to make headway getting other chances to get my work put into publications! 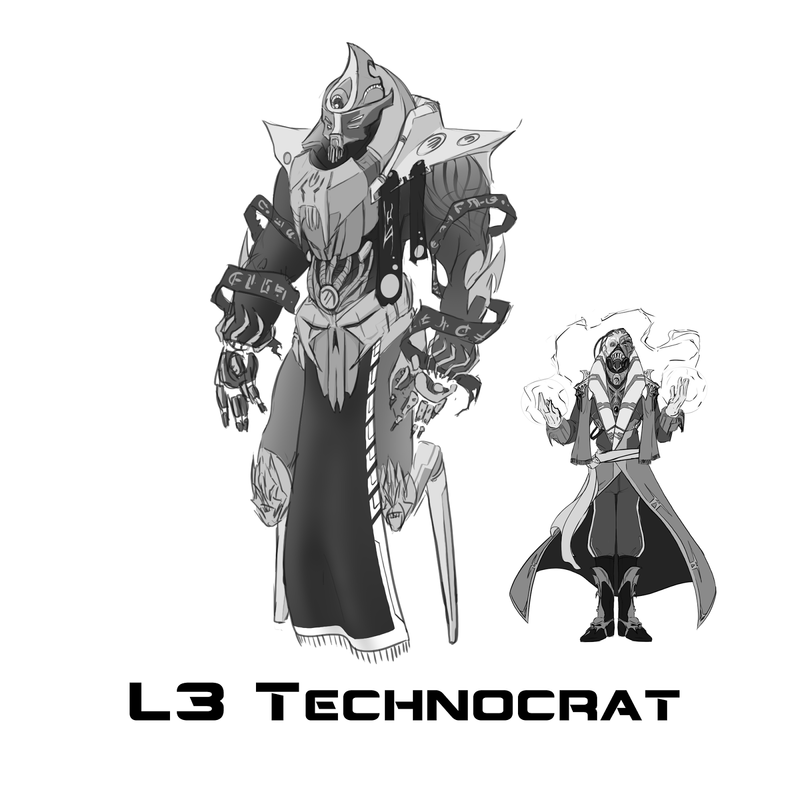 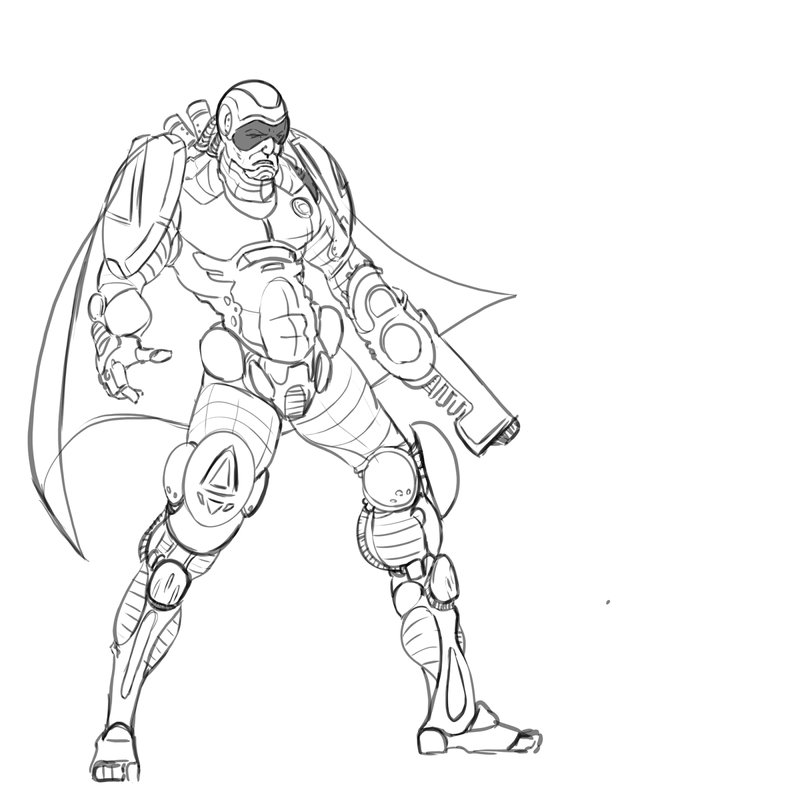 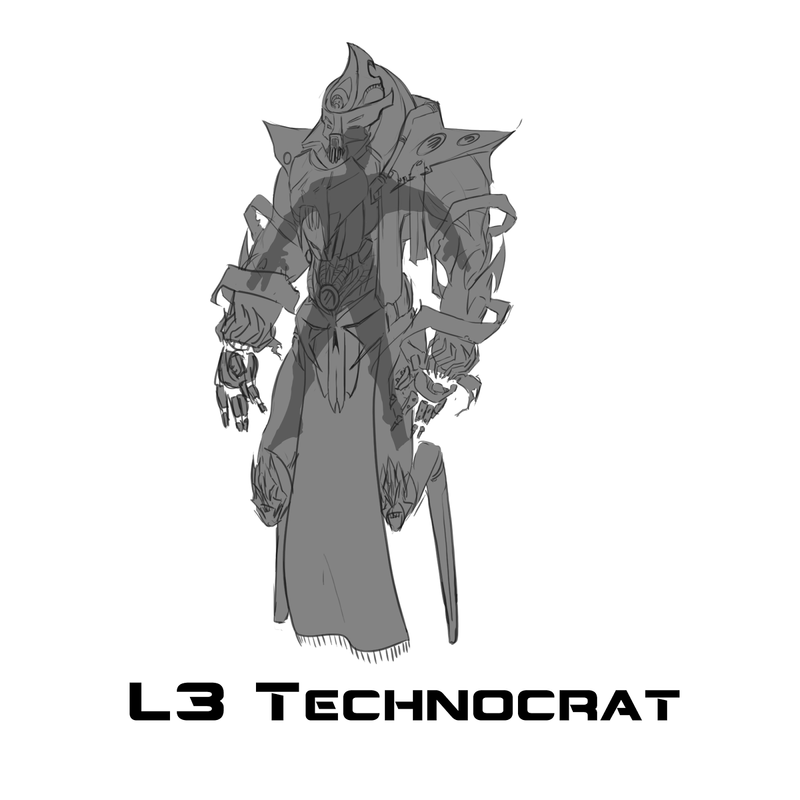 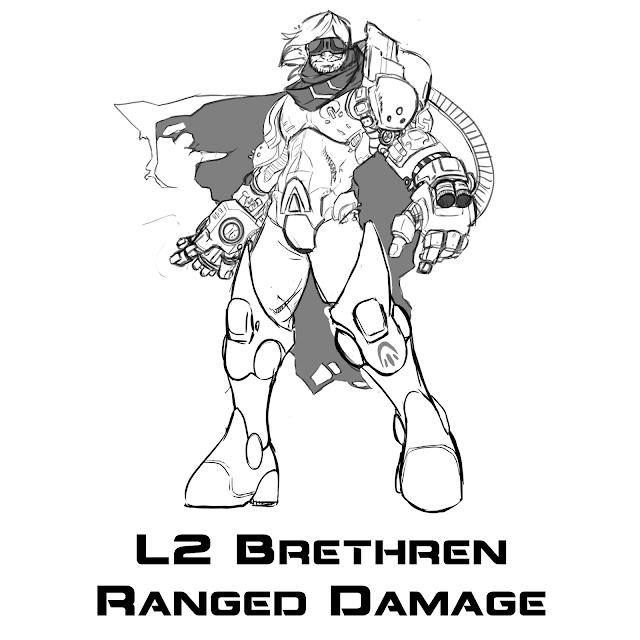 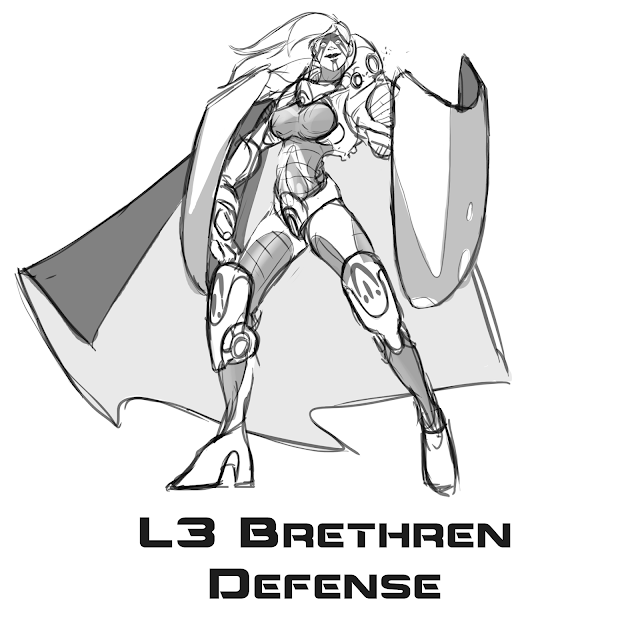 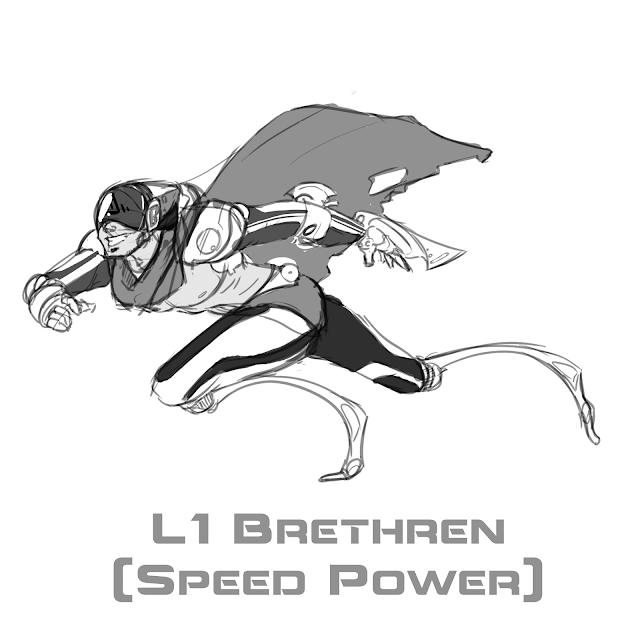 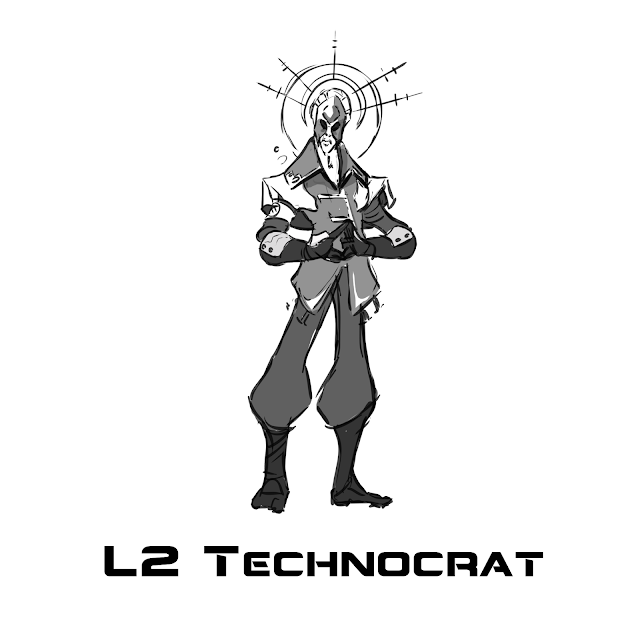 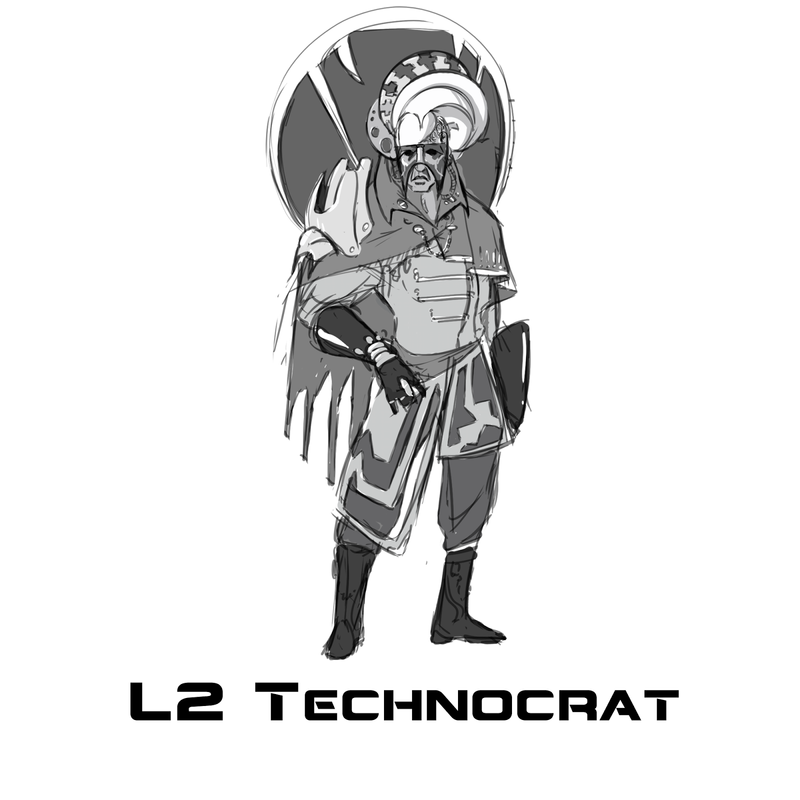 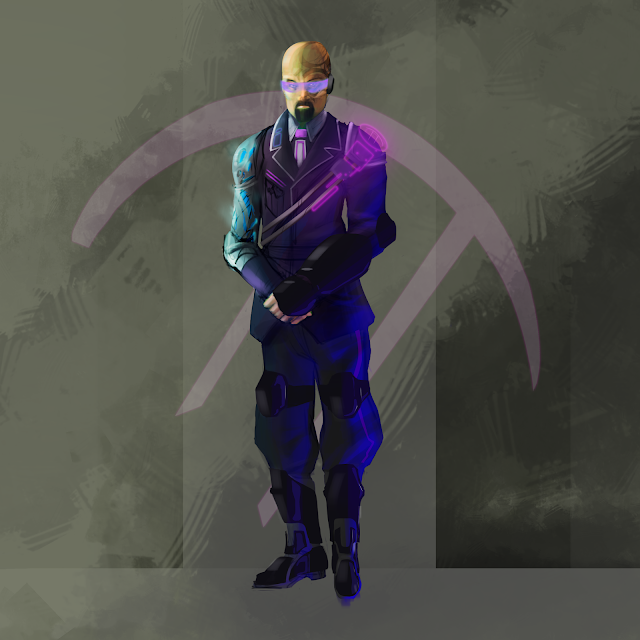 Today's piece will be a continuation of the Level 3 operator for the Technocrat. That's all for today folks. 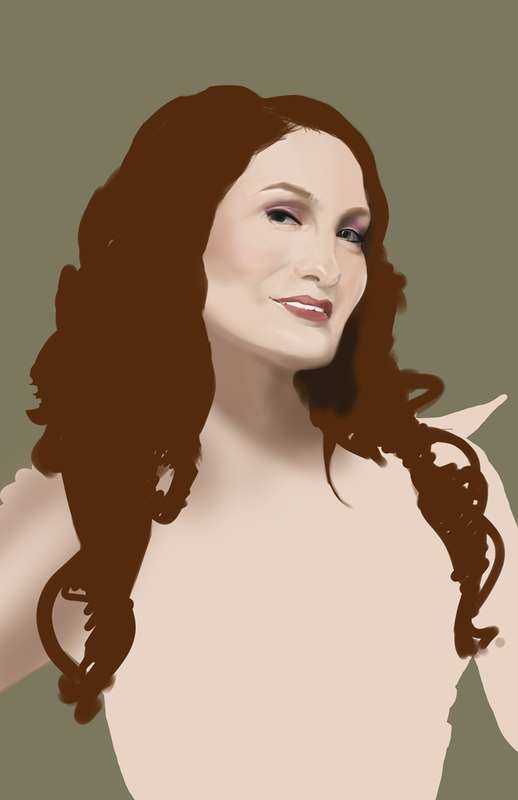 I'll be putting some last polishes on this later this weekend off camera. 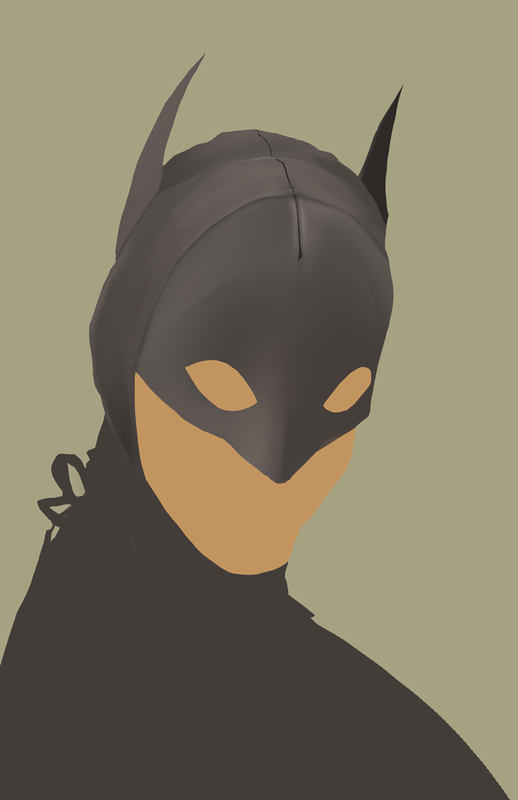 Keep tuned for when I'll do my next piece in the upcoming week. 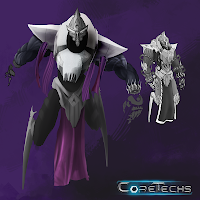 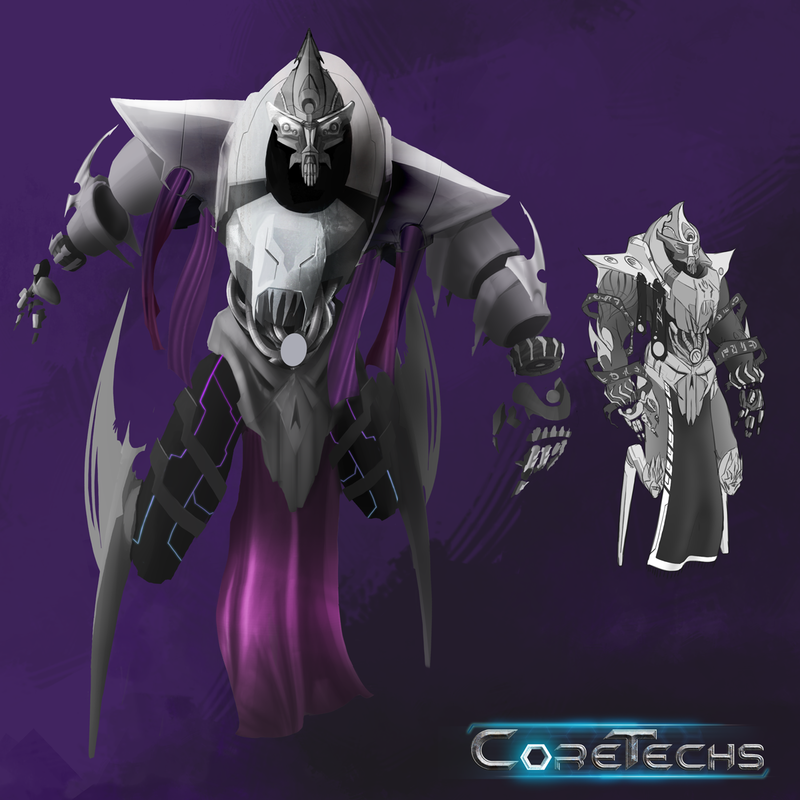 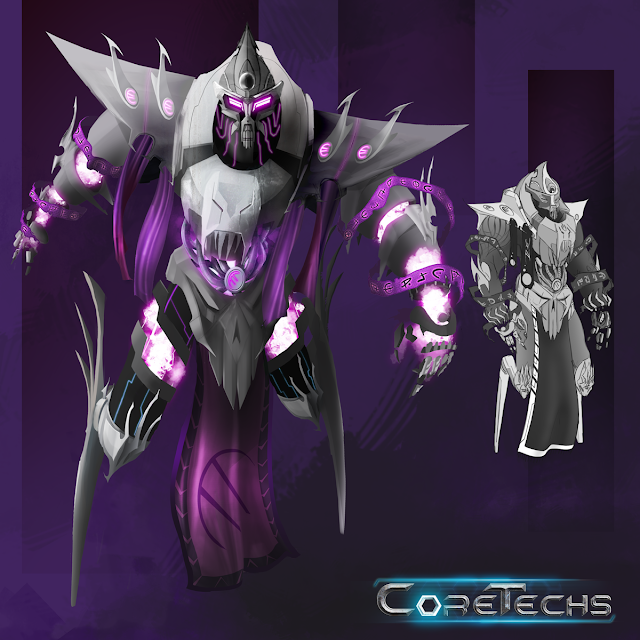 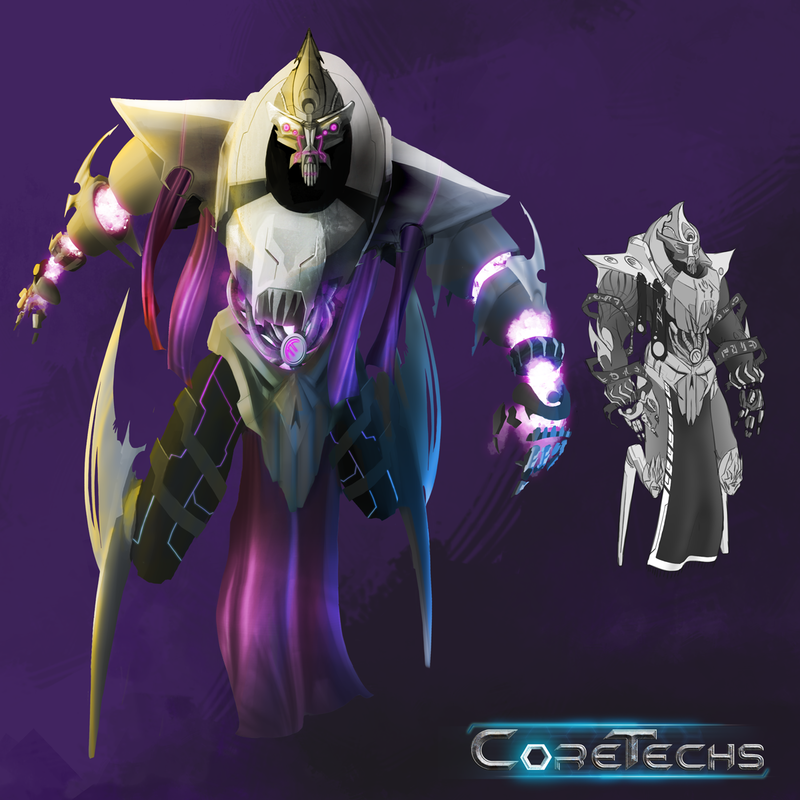 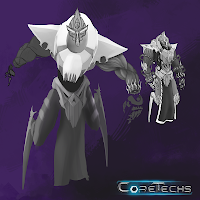 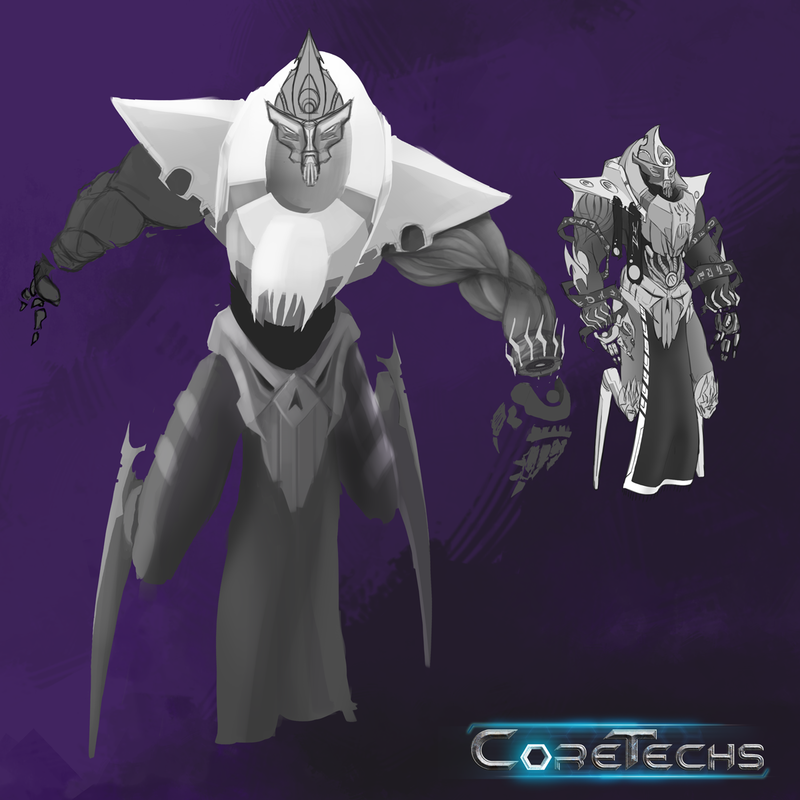 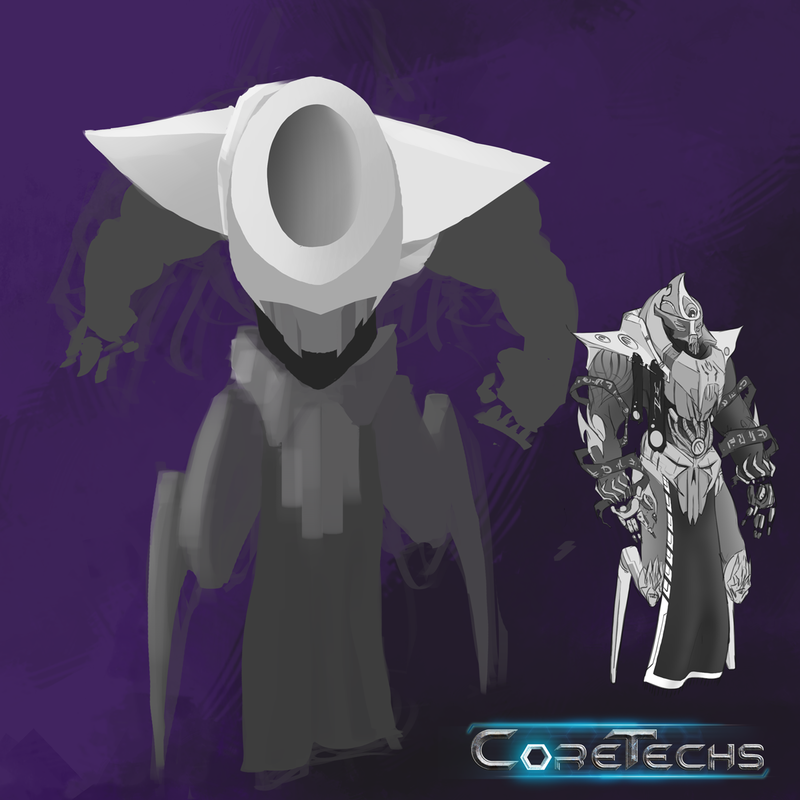 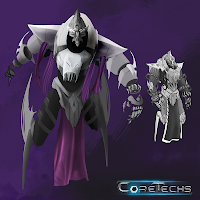 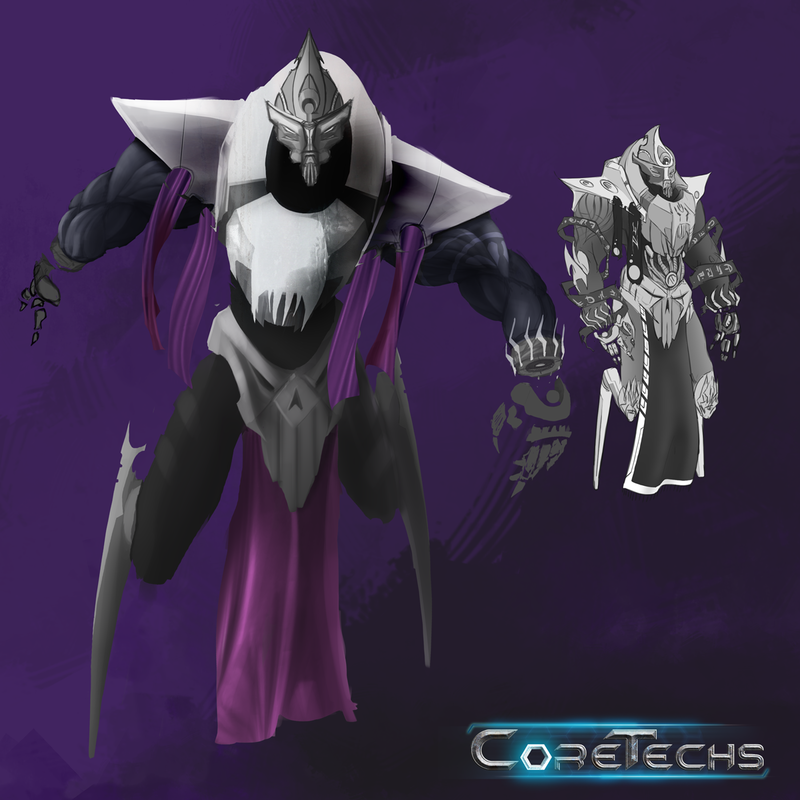 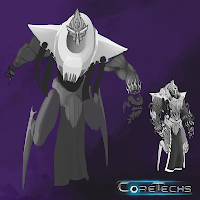 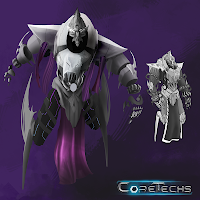 Check in on this post throughout the day today to see updates to a Work in progress for CoreTechs! 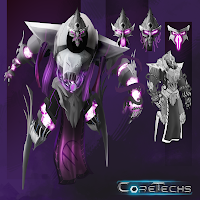 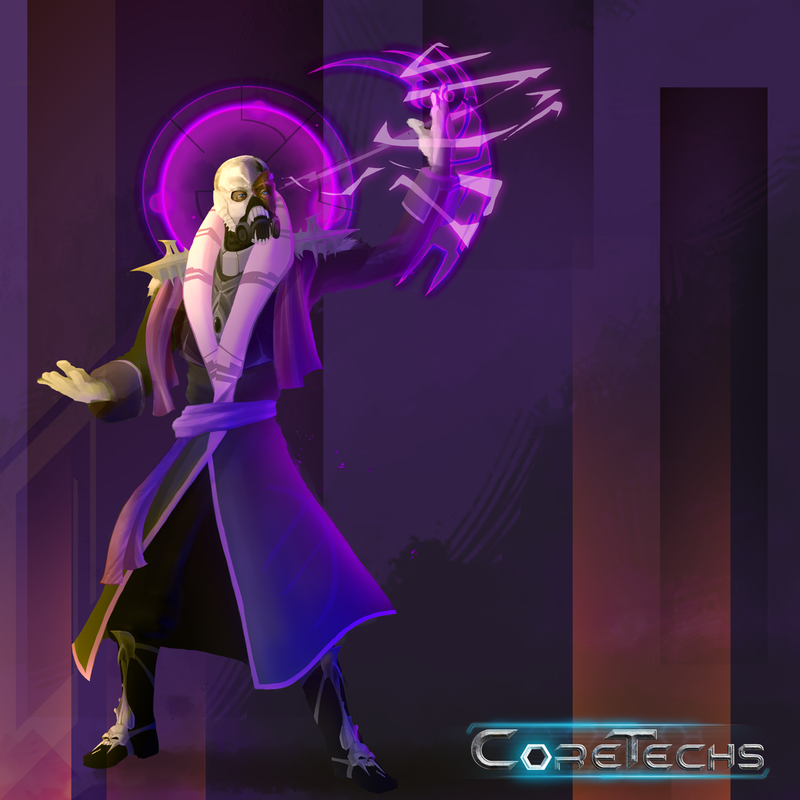 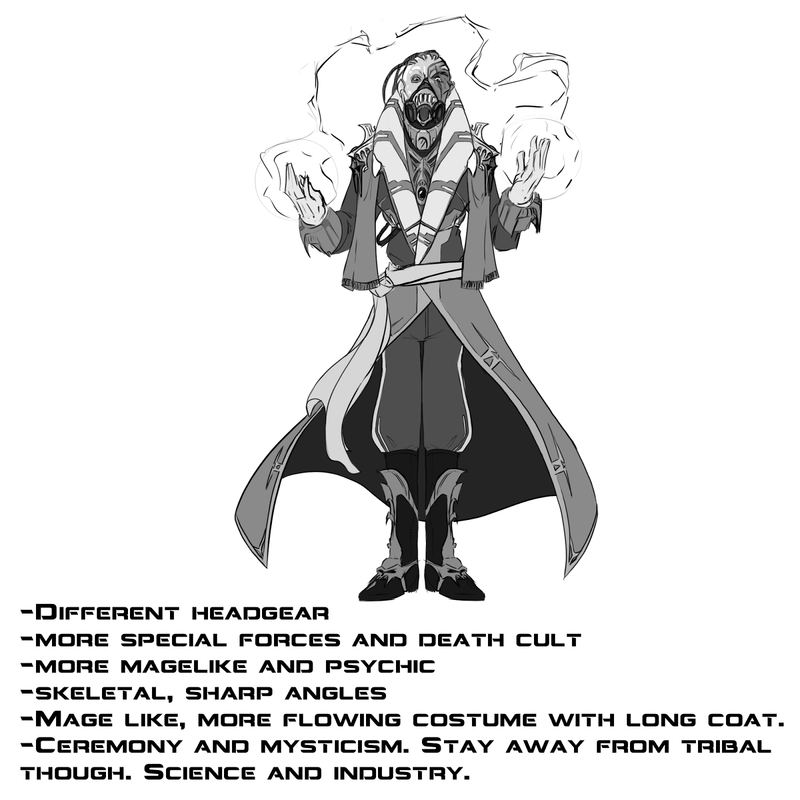 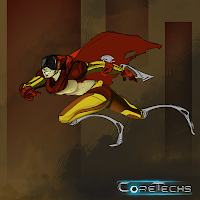 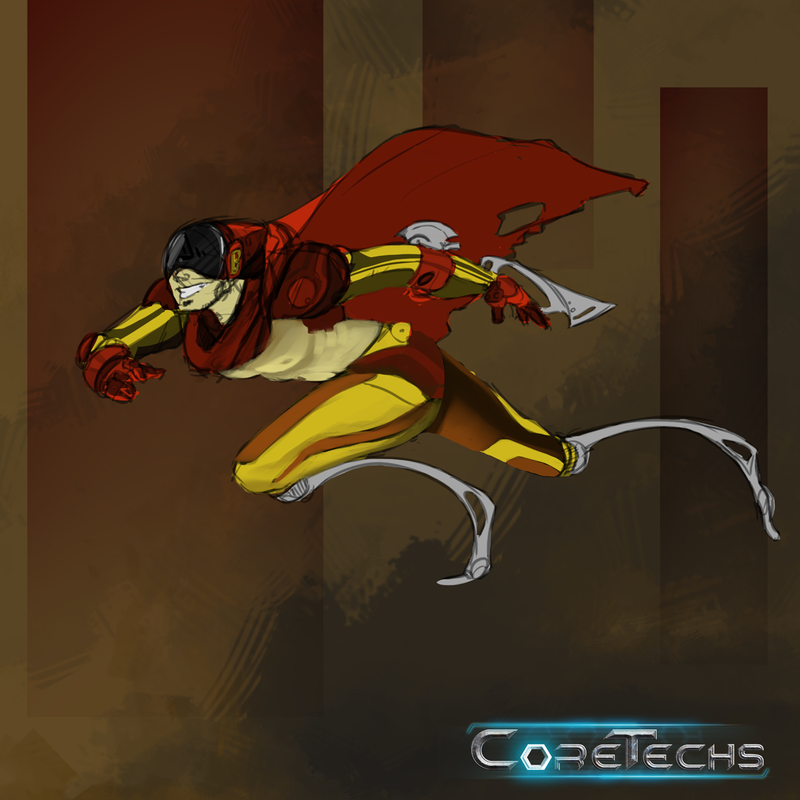 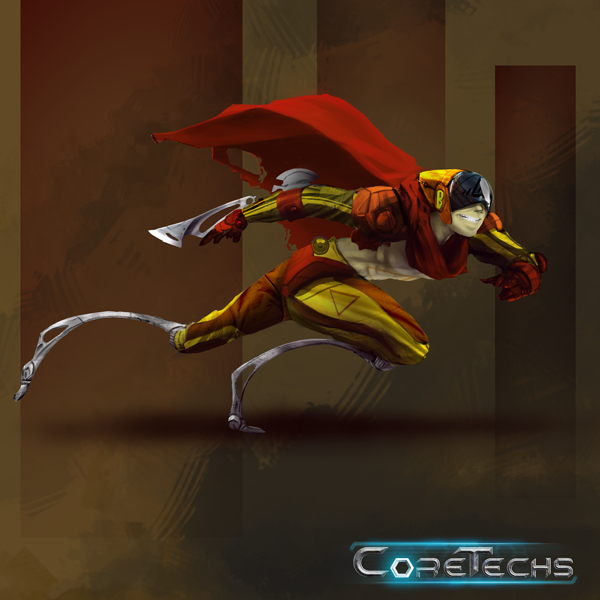 I've been hard at work on a kickstarter campaign for a game called CoreTechs! and here is a sample of some of the work I've done in preparations for the final concept paintings I'll be making this week!